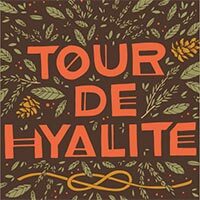 The Tour De Hyalite is a 15 mile trail run/hike/crawl that is capped off by top roping the hardest five routes you can do at Practice Rock. Each climb is assigned a number of "minutes" depending on difficulty and the sum minutes of your 5 climbs is removed from your running time. Mostly the Tour is about having fun with a great group of people though, with very little competitive spirit to go around. What we lack in competitive spirit, we make up with community camaraderie! Sign up to join the party today!